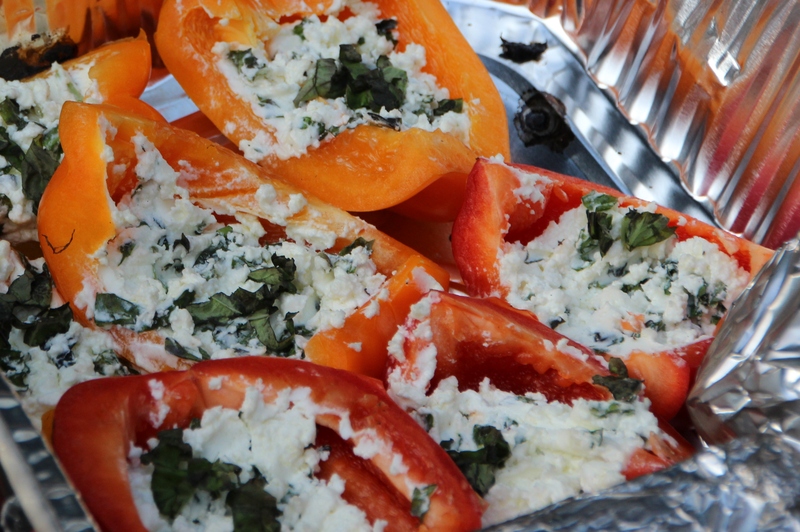 Ready-to-grill, bell peppers can be stuffed with any combo of goodies. We love basil, tomatoes and a little S&P. A friend of ours at soccer introduced us to a great side dish that is forever adaptable and super quick and easy. 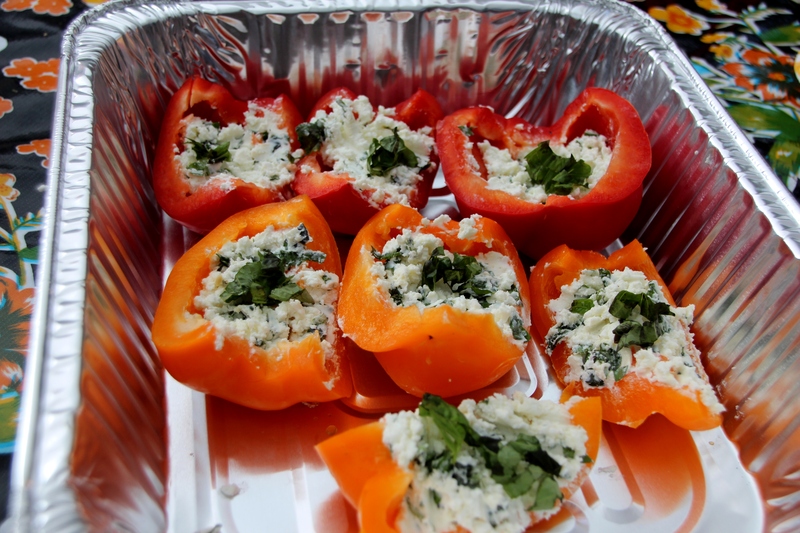 Simply cut a red, yellow or orange pepper in half and take out the seeds. In a separate bowl mix together goat’s cheese with chopped tomato. I’ve also added chopped basil or coriander. Scoop the mixture into the pepper halves and barbecue on the grill until the pepper looks roasted, slightly blackened the insides are smooth and melty.